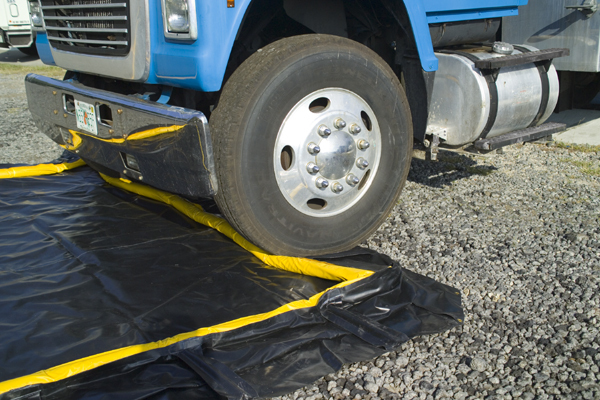 Spill Containment Berms in any size for oil, fuel, and chemical or many portable options for fuel tank, truck & tanker drive in spill containment. Many Collapsible Secondary Containment Berms & Special Models at 1-800-474-7294. Comply & Maintain EPA and SPCC compliance for containment storage as well as: berm containment of drum, truck, tanker, tanks, and more with our durable spill berms and values from leading manufacturers. Find more portable spill berm options than ever in our huge selection, with limited warranties up to 10 years. As the 'authority in spill containment' for over a decade, IPI provides a nearly infinite variety of portable spill containment berms that are designed to help the military and industry to comply with the regulations of 40 CFR part 112 of the Clean Water Act, also referred to as the Spill Prevention Control and Countermeasures (SPCC) regulations. Our spill berms with BIG DISCOUNTS are easy to setup and extremely durable berm designs serve as wash-down, storage and secondary spill containment for a variety of applications. All of our berms are fabricated with the highest quality materials, are resistant to oils, fuel, chemicals and many acids and can be provided in a variety of sizes utilizing various structural technologies that can adapt to virtually any containment requirement. • Interstate Products, Inc. carries a large stock of ready to ship spill berm inventory in various sizes and we are always ready for the opportunity to engineer customized drive in spill containment berms for your unique application. • Small enough for generators or large enough for fuel trucks and tankers. • Only the highest quality materials are used for durability and reliability issues for oil, fuel and chemical containment. • Many containment wall constructions and designs are available to suit your needs without breaking your budget. • View our Foam wall and/or collapsible walls that allow trailers and forklifts to roll over berm wall for easy drive in entry and exit making drive thru containment hassle free. • Manufacturers include Ultratech, Eagle, Justrite and more! We stand behind our berms like no others do! Industry Leading Service on all berms from leading manufactures! • Wash-down, storage and secondary containment for aircraft, trucks, tankers, trailers and other equipment in a variety of berm sizes. • Containment of oil, fuel, chemicals, acids, generators, trucks and other power equipment used in-plant or in remote locations. 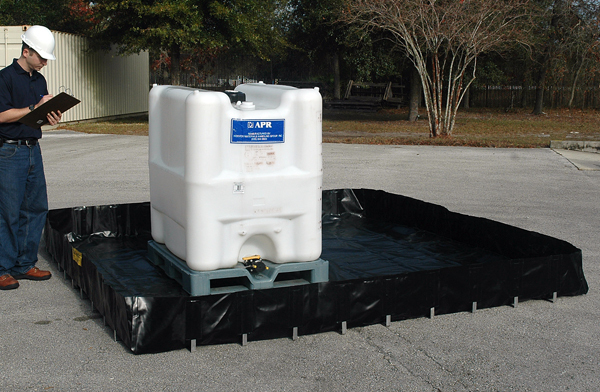 • Manufacturer Discounts on portable secondary spill containment berms for drums, tanks, trailers, chemical processing equipment and more. • Walls that allow trailers or forklifts to roll over berm for easy entry and exit.